"My success just evolved from working hard at the business at hand each day." What first got you interested in doing a film about Johnny Carson? Johnny Carson was for many, many years arguably the most famous person in the United States. But what did we really know about him? He was so accessible to millions with a remarkably easygoing style yet he remained an elusive character. I took it as a challenge to break what I have called the Carson “veil of secrecy” and suggest clues as to who this man really was. When did you first become aware of Johnny Carson? Like so many of my generation, I first became aware of Johnny Carson on those rare nights when my parents allowed me to stay up late. It would have always been a Friday night, I’m nearly sure, because I would never have been allowed to stay up late on a “school night”. Then I remember watching Johnny ring in the New Year on The Tonight Show – I must have been eleven or twelve years old. It was a big deal to stay up and I remember somehow thinking that this guy was funny. He reached a kid which I later discovered was his great gift: he managed to reach out to young and old alike. It was an amazing achievement. While making the film, did you learn anything that surprised you about Johnny Carson? What surprised me most was how much his ex-wives still loved him. Though only Joanne Carson, who was his second wife, went on-camera for an interview, I managed to spend time with his third wife Joanna and his widow, Alex Carson. Johnny’s divorce from Joanna was very public and very acrimonious. Nevertheless, in later years, they rekindled their relationship very quietly. They spoke on the phone but didn’t tell people about it. I clearly got from my time with her that Joanna considered Johnny to be the love of her life. Though Johnny and his fourth wife Alex were living basically separate lives in his later years, they remained close. She never stopped caring about him and he never stopped caring about her. Are there any interesting anecdotes about the filming or the interviewees? Because we had finally received the cooperation of Johnny’s nephew, Jeff Sotzing, people felt comfortable speaking more openly about Johnny Cason in a way they had not before. Their candor was moving. I remember when I interviewed Drew Carey, all I said was, “Drew, please tell me the events leading up to and including your first appearance on The Tonight Show.” Well, Drew proceeded to talk for 51 straight minutes without stopping once! This was clearly one of the most impactful experiences of his life and he wanted to make sure I heard every detail. As you can see in the film, he became quite emotional talking about his appearance. As it happened, Ray Romano had his first appearance on The Tonight Show just a few weeks after Drew had his first appearance. They knew each other back then, and Ray called Drew after Ray did his set and left the message, “Thanks, Drew for taking all the laughs.” He was kidding because Ray did very well his first night on the show, too. But for all these guys, their first appearance on The Tonight Show Starring Johnny Carson was the beginning of their real careers. Please describe your approach to the film. From the very beginning, we wanted to find clues to Johnny’s character and his past from actual moments on The Tonight Show itself. Johnny revealed things about himself on the show that he felt uncomfortable sharing in his “real” life, if that makes any sense. Somehow, he could tell 15 million people things that were hard for him to communicate with even close friends. It’s what made him such a fascinating subject and we knew from the get-go that the key was the clips we pulled from The Tonight Show. The clips we pulled for our film were entertaining but we also wanted them to reveal something specific about him as a performer or as a person. The other priority was to rely on first-hand memories and reflections of those that were closest to him. What were some of the obstacles in achieving your vision of the film? Well, without the cooperation and participation of Carson Entertainment Group, there would have been no opportunity to have a vision! 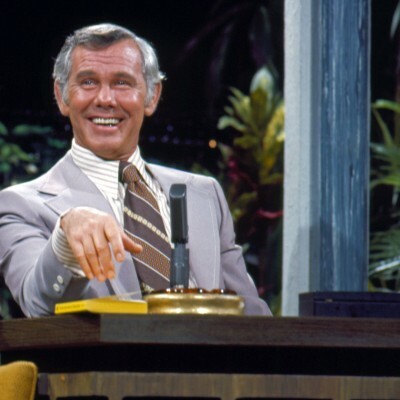 Johnny famously owned all existing episodes of The Tonight Show Starring Johnny Carson from 1962-1992. The film we had in mind could never be made without unrestricted access to those shows. When that finally happened, well, that was our biggest obstacle. For that, I will be eternally grateful to his nephew, Jeff Sotzing, President of Carson Entertainment Group and basically the “keeper of the legacy”. Jeff had to take a leap of faith because he knew his uncle had never wanted to cooperate with any production on his life and career during his lifetime. I finally convinced him that even a figure as legendary as Johnny Carson would be forgotten if something were not done. I think that is what convinced him to take that leap of faith. Please describe your background credits, how maybe they led to this film. I have rarely said this but do you know I made documentaries on Jack Benny and Edgar Bergen in part to get Johnny Carson’s attention because I knew those were two idols of his? True. 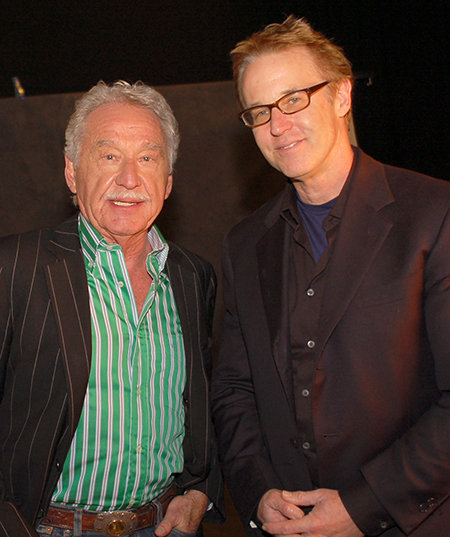 When Johnny finally called me after all those years of turning me down to tell me he appreciated the letters but he still wasn’t going to do anything, he made a point of telling me he also appreciated the films I had sent him through the years. Two of those, he mentioned by name, were Jack Benny and Edgar Bergen! In later years, we made films about two icons that had both appeared on Johnny’s Tonight Show – Judy Garland and Bette Davis. In fact, in our Judy Garland film, we used a clip of her last appearance on The Tonight Show before she died where she sang a song entitled, “It’s All For You” about a performer’s love of the audience. We licensed that clip with Johnny’s express permission back in 1996. Well, a short sixteen years later, we finally got to make a documentary about him and we made sure to show a shot of Judy Garland on The Tonight Show in our documentary – a little full-circle tribute to the long process of bringing this to fruition.